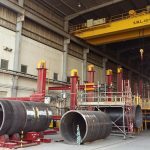 A Red-D-Arc customer based out of the UK was awarded three large offshore wind farm projects …all commencing simultaneously. 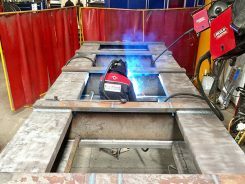 This manufacturer was comfortable taking on so many large scale, specialized projects because they have a reliable, knowledgeable, tier 1 supplier capable of meeting all of their welding and weld automation equipment needs! 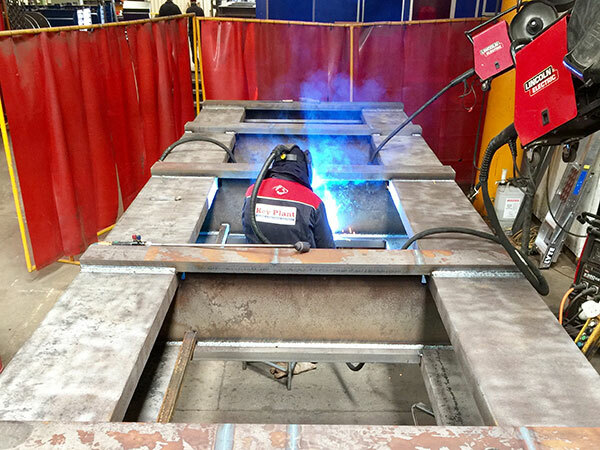 Red-D-Arc was able to quickly accommodate all of the welding equipment requirements for the project, providing more than 150 welders and a variety of weld automation equipment. 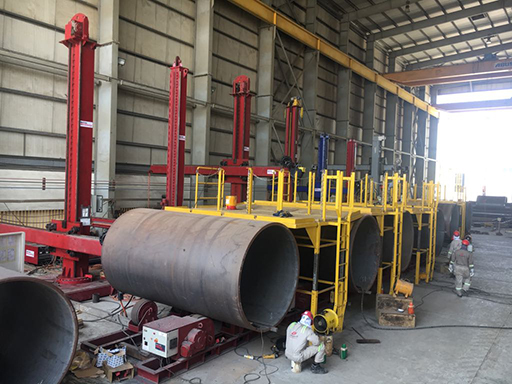 The equipment consisted of multi-operator welding paks, diesel welders, advanced power sources, wire feeders, submerged arc welding packages, and rotators. 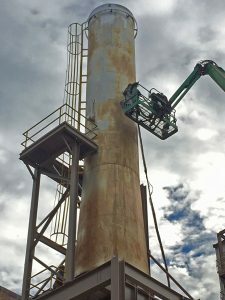 Two Red-D-Arc technicians were assigned to the facility to install, service and maintain the equipment to minimize downtime. 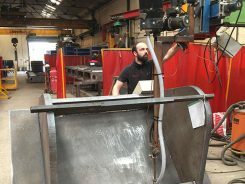 The facility allocated a permanent workshop and storage container for back-up equipment which could be used to quickly replace any equipment as necessary. 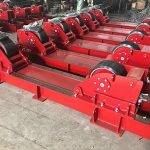 With Red-D-Arc’s support, the customer was able to work on all three projects simultaneously and avoid lost time due to equipment breakdowns. 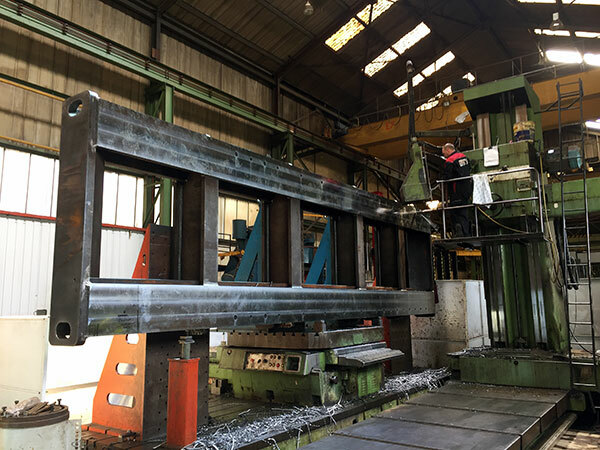 By guest Blogger Katarzyna K.
Katarzyna has an Msc in Materials Science and has worked in the oil and gas industry in jobs related to hydraulics, welding and the retrofitting of oil rigs. 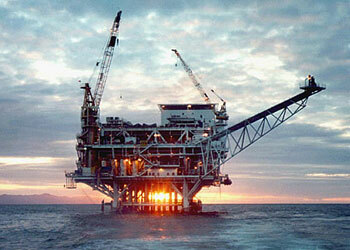 Pipe welding is utilized all around the world in diverse industries. 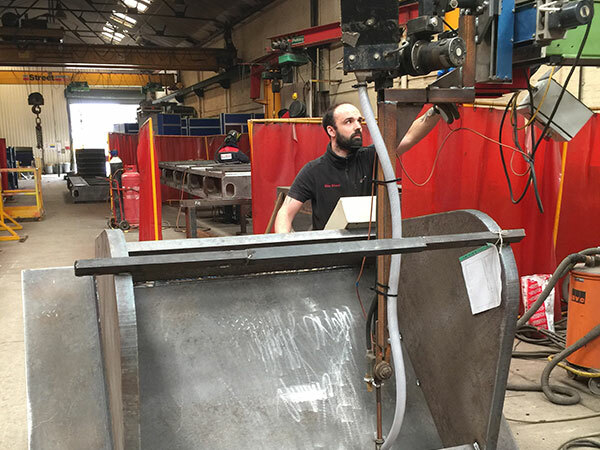 A variety of pipe sizes and material grades are joined to manufacture components of various shapes and lengths – from a few feet to many miles. 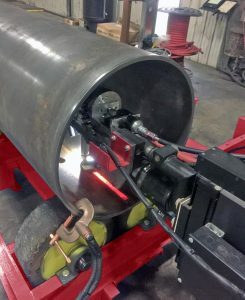 Even though most pipe welding jobs have custom specifications – there are some fundamental aspects of pipe welding that form a common thread for welders and welding engineers alike in order to achieve high quality welds in pipes. 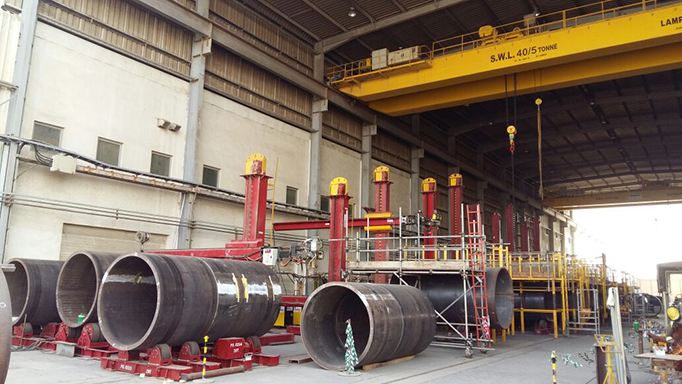 Equipment selection is the top requirement for producing good quality pipe welds. 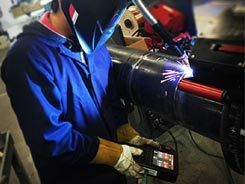 The highest priorities when selecting welding equipment for pipeline welding are reliability, consistency, accuracy and process control. It is also critical that the equipment is easy to use and the controls are intuitive. In addition to equipment performance, the work environment also needs to be a key factor for equipment selection. 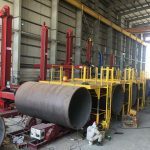 There are pipe welding configurations designed for offshore welding, remote land based pipeline welding, general fabrication shop use and custom configured automated pipe welding systems. Selecting the right one can be a daunting task – it is always good practice to seek expert advice. Be sure to ask about the various options, capabilities and limitations of each system. 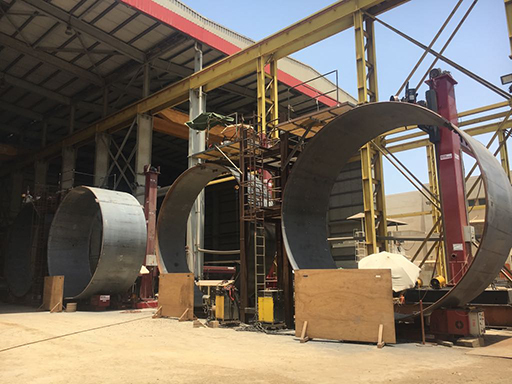 When welding CRA (Corrosion Resistant Alloy) grades, it is necessary to use weld purging in order to guarantee the corrosion performance of the root run. The importance of this should not be underestimated. 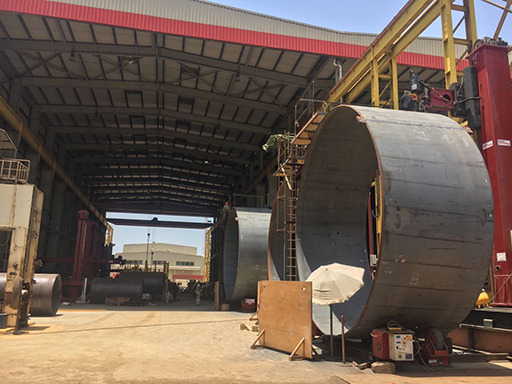 An oilfield equipment and vessel manufacturer in the United Arab Emirates approached Red-D-Arc for assistance with a large project. It was awarded to them at the last minute and was not their primary area of expertise. 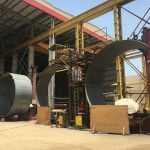 The requirement was to manufacture 25 large tanks with a timeframe of only one year. 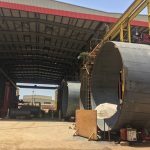 Each of the tanks was to be 5 meters in diameter by 25 meters long, manufactured using 16 millimeter thick material at a weight of approximately 45 tonnes. 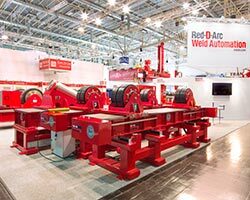 The experienced Red-D-Arc Weld Automation team was able to immediately address all of the customer’s challenges. 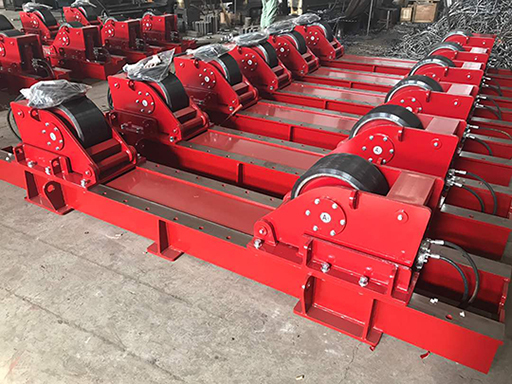 While other suppliers where insistent that the customer purchase the equipment, Red-D-Arc determined that long term rental would be their best option. 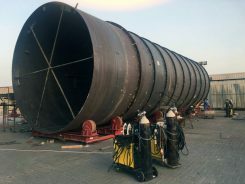 This would avoid the time consuming process of acquiring CAPEX approval to purchase such a large amount of equipment and would further increase the profitability of the project. The manufacturer also had questions on how to avoid ovality and transverse movement of the sub-assemblies. Red-D-Arc experts were on-hand to provide the right advice and the right equipment to address these challenges. Red-D-Arc worked very closely with the company to ensure their success, providing comprehensive training and on-site assistance. 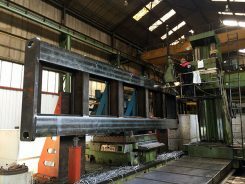 After the successful completion of this project the company has become recognized in their market and are receiving new orders from similar customers in the industry. Furthermore, they anticipate being awarded “phase 2” of this project which is scheduled to begin in 2018.